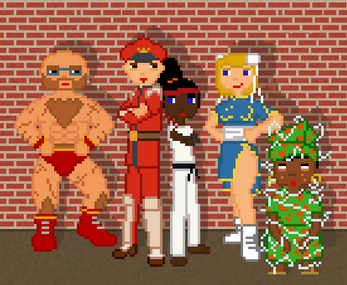 Split Fighters is my first “big" project since I worked on it during 3/4 months (instead of the usual 48h). 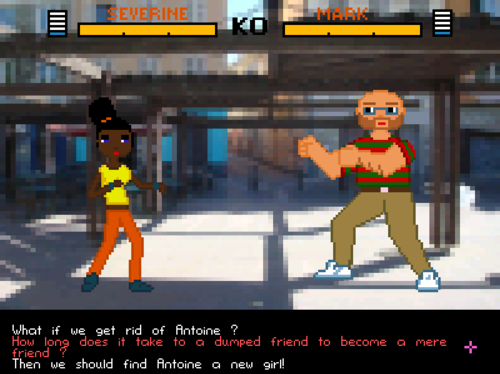 The main idea was to make a fighting game on Adventure Game Studio. 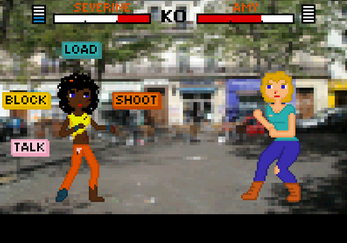 Of course, it's a stupid idea because AGS is a software designed to make point & click, so here's the first point & click fighting game (maybe, I didn't checked). Of course, because I can't help it, Split Fighters contains plenty of dialogs, way more than any of my previous games. 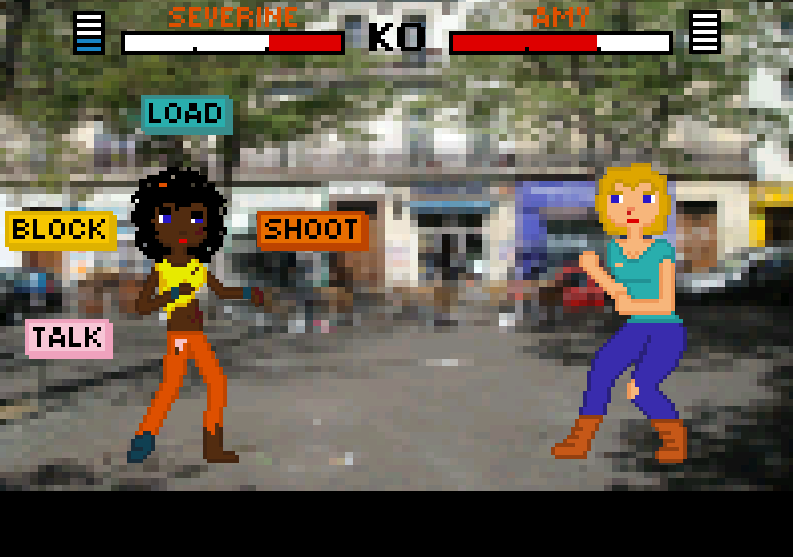 As you can guess, this game isn't really about fighting after all.